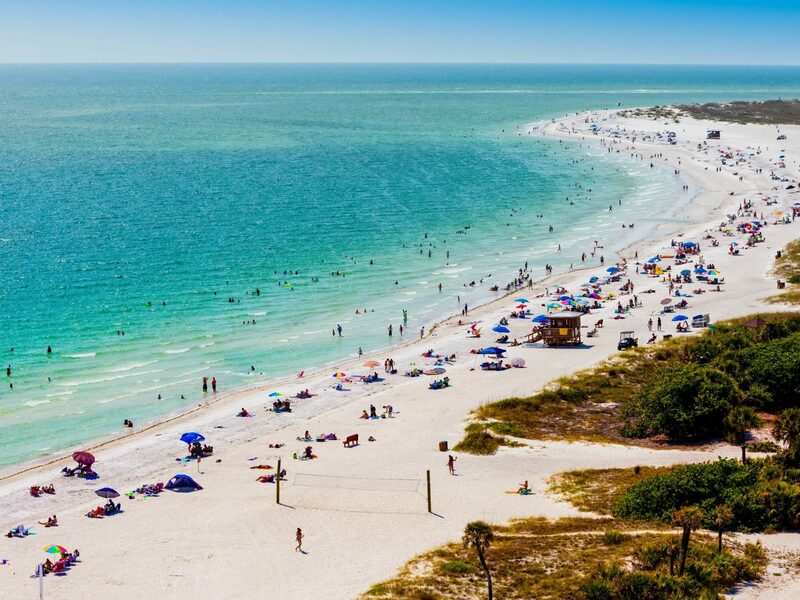 These are the best weekend trips in Florida, from beach breaks and foodie jaunts to historical retreats and nature escapes. 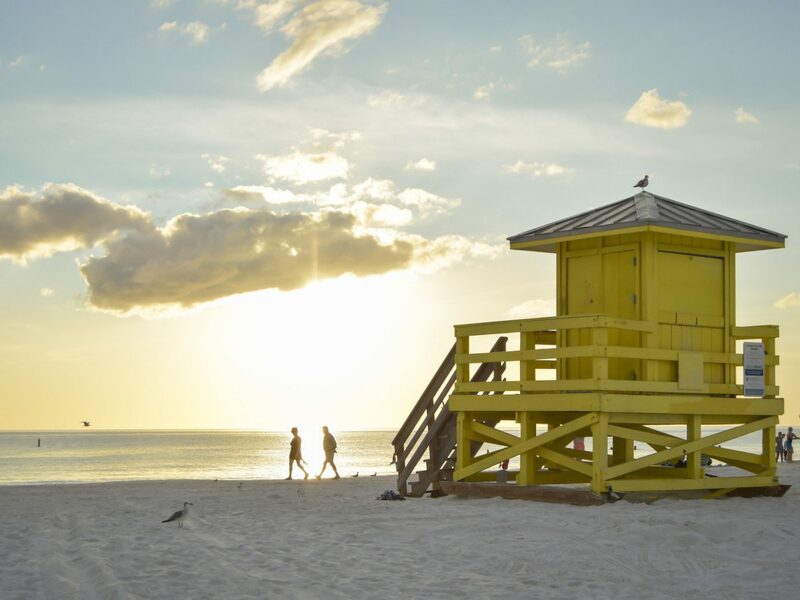 Read on for our five favorite Sunshine State destinations to explore during any time of year. 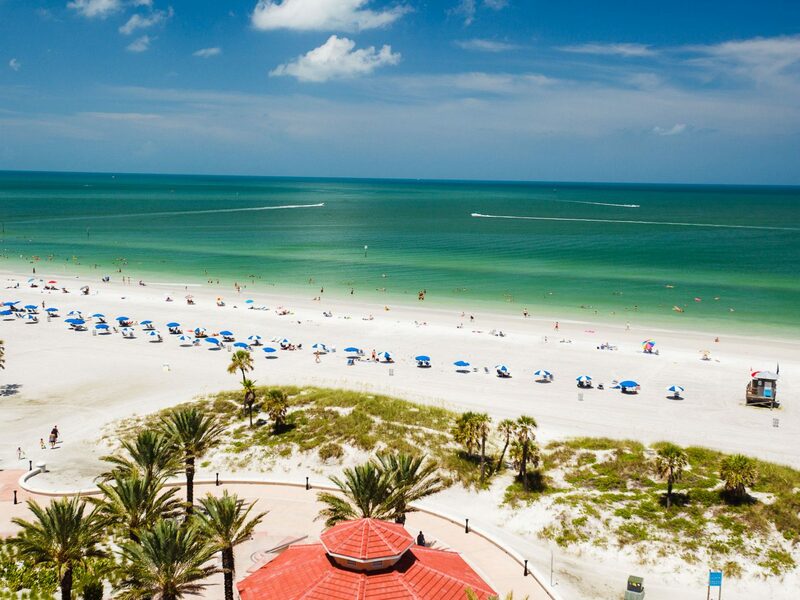 On Florida’s Gulf Coast, 25 miles from Tampa and 100 miles from Orlando, Clearwater Beach is a quintessential beach town and one of the best weekend trips in Florida. 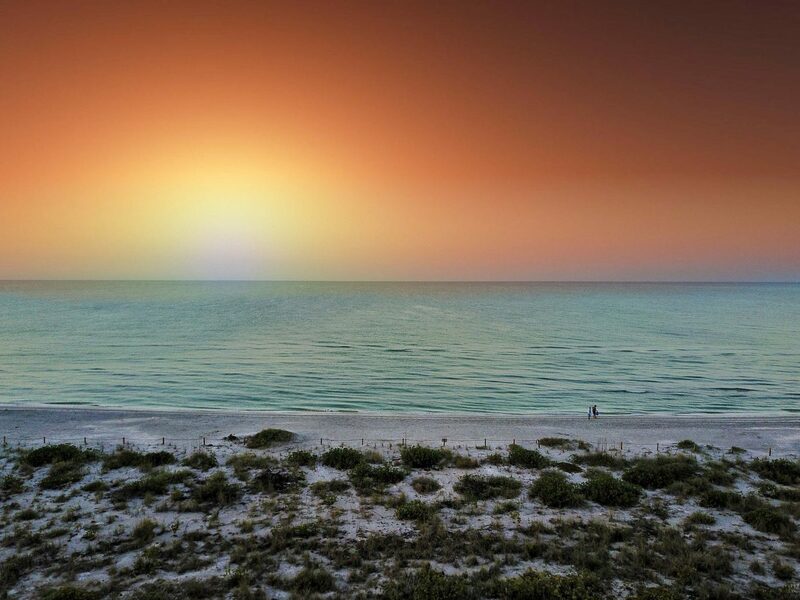 All boardwalks and beach shacks, there are nightly sunset viewing parties on portions of the three-mile-long white-sand beach, plus a raft of beachfront hotels with Gulf of Mexico views and restaurants offering toes-in-sand dining. 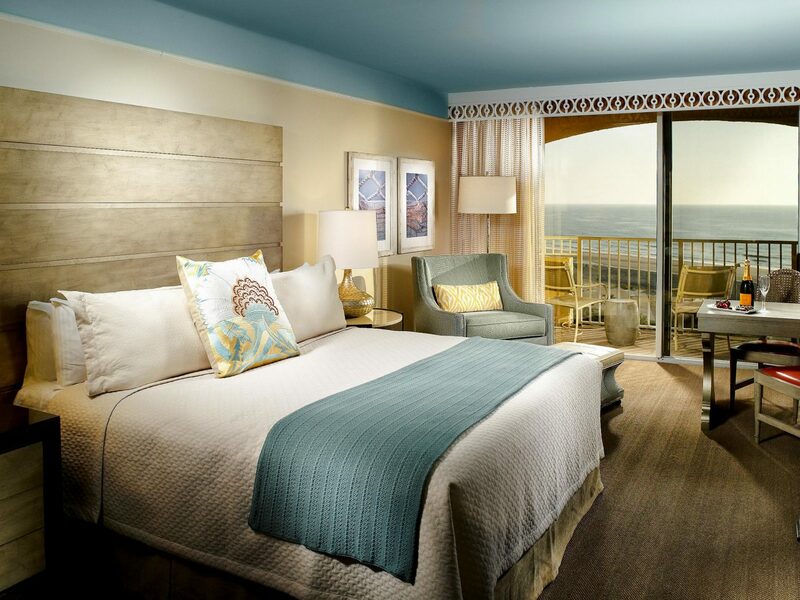 Design lovers should check in at the newest sleep on the beach: Opal Sands. 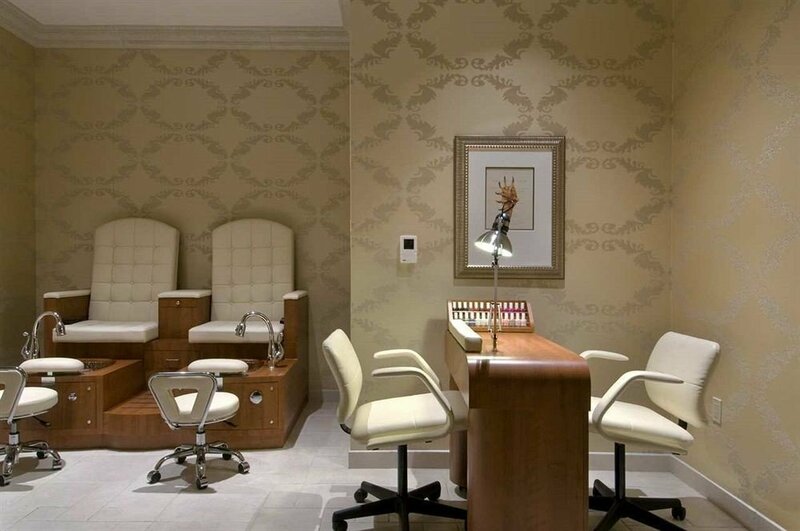 Opened in 2016, its contemporary curved architecture and minimal beachy interiors make it a seafront standout, with guests and non-guests exploring the spa, Italian seafood restaurant and alfresco Tiki bar. Seafood, naturally, dominates the menus in this part of Florida, so plan on sampling classic dishes like the grouper sandwiches and conch fritters at Frenchy’s Saltwater Cafe, and the shrimp feasts (wild-caught in the Gulf of Mexico) at long-time favorite, Columbia. 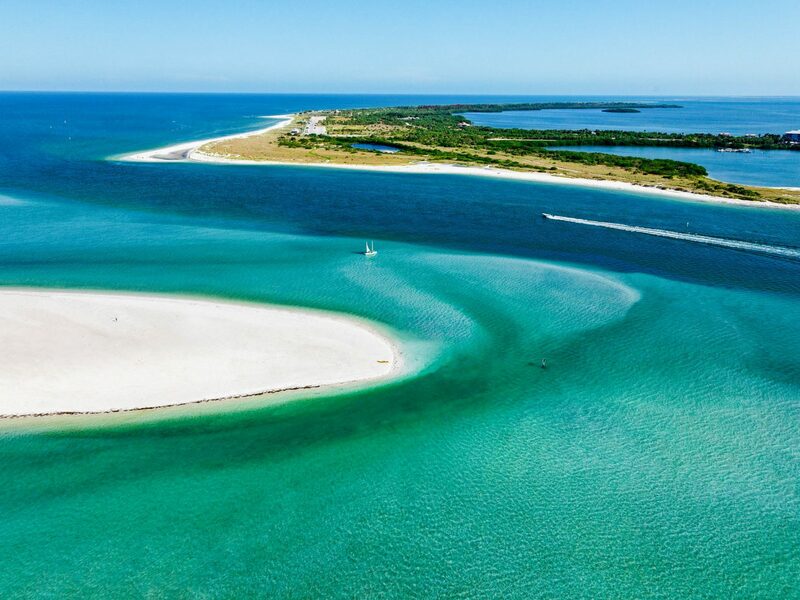 The wide beach dominates daytime activities in Clearwater, but families should explore the shops and attractions at kitschy Pier 60 (especially during the annual Sugar Sand Festival sandcastle competition), and nature lovers shouldn’t miss a kayak through the mangroves on quiet Caladesi Island. 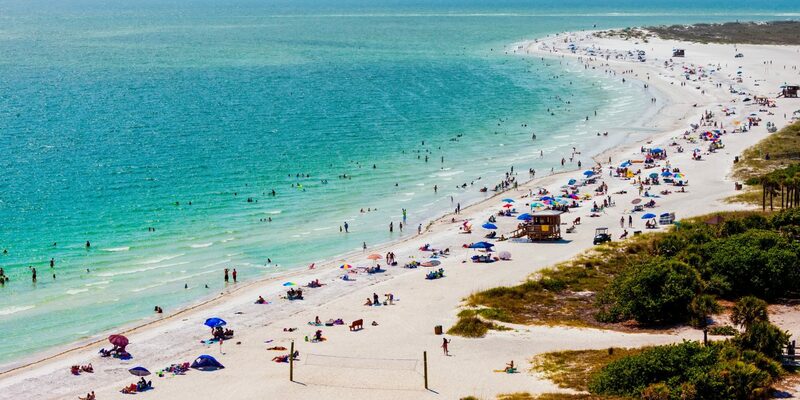 Just over an hour south of Clearwater, Sarasota offers a wholly different Gulf Coast beach experience, with six distinct shore-hugging barrier islands, award-winning beaches, and an eclectic shopping scene. 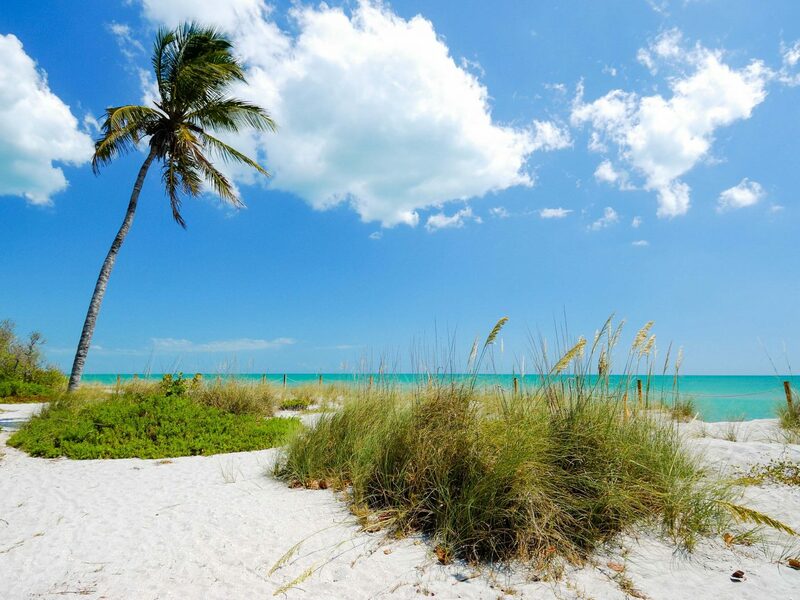 The islands have personalities all their own, with Venice attracting locals and longtime visitors to its indie boutiques and events in Centennial Park; Lido Key serving as a daytime family hangout on Lido Beach and shopping at ritzy St. Armands Circle (dubbed Sarasota’s Rodeo Drive); and Siesta Key laying claim to the “best beach in America” at Siesta Beach. 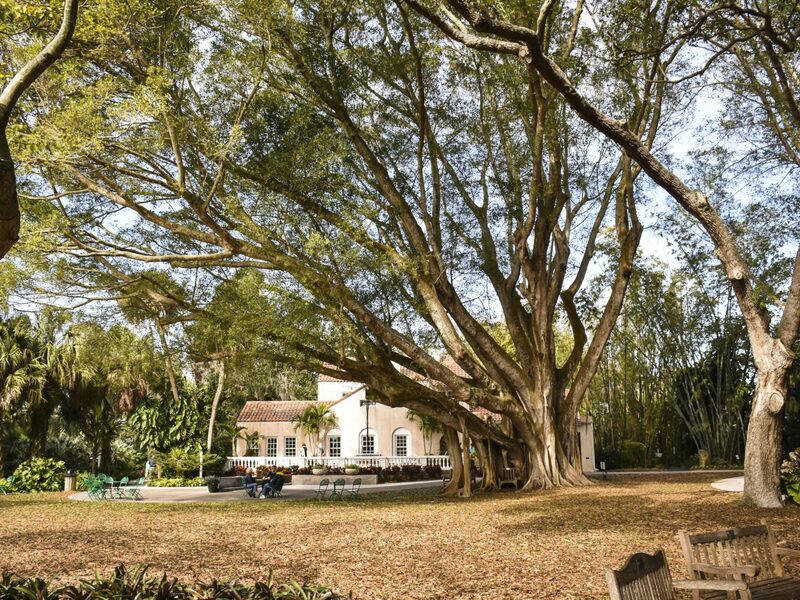 The Marie Selby Botanical Garden is a favorite stop with budding botanist, home to collections of rare orchids on 15 sprawling acres of manicured grounds overlooking Sarasota Bay. 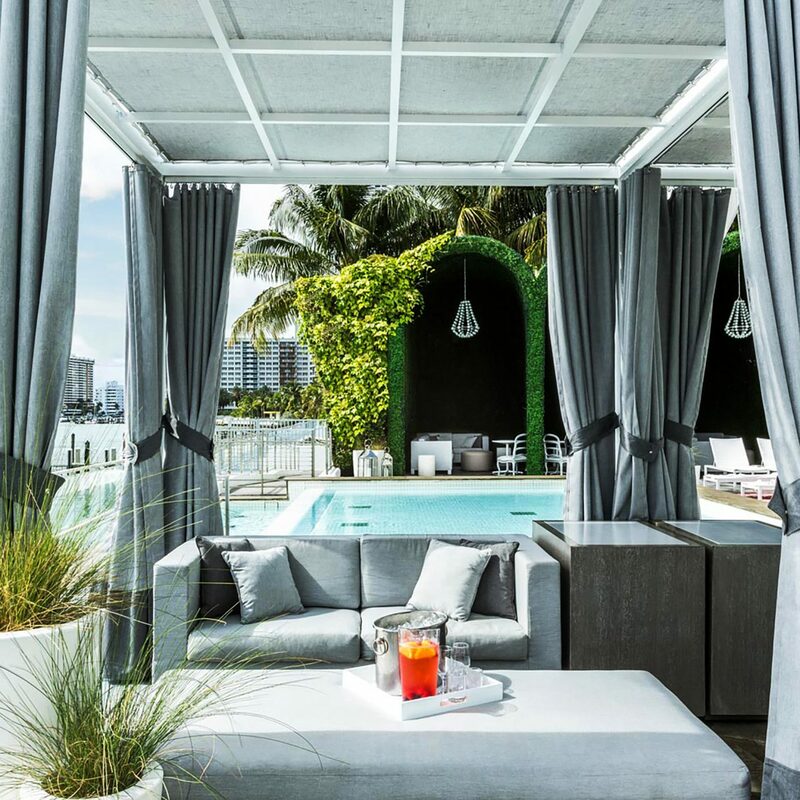 After exploring the gardens, make a stop at nearby Oleary’s Tiki Bar & Grill, a low-key waterfront spot for classic bar bites, colorful cocktails and live music. 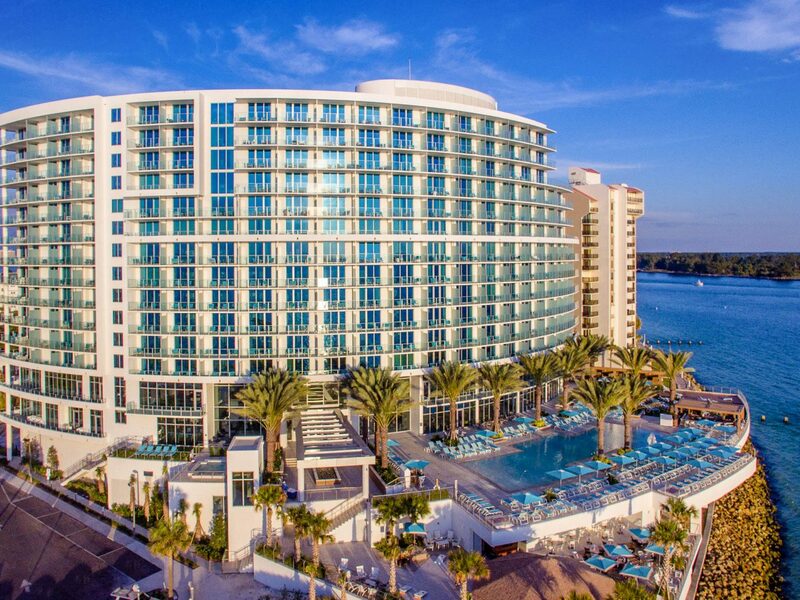 For a splurge-worthy hotel stay, book a harbor-facing room at The Ritz-Carlton, Sarasota and make use of the hotel’s Lido Key beach club, just three miles away. Here, guests have the run of ocean-facing sun loungers, a beachside pool, restaurant and kids’ club, plus use of the complimentary shuttle. 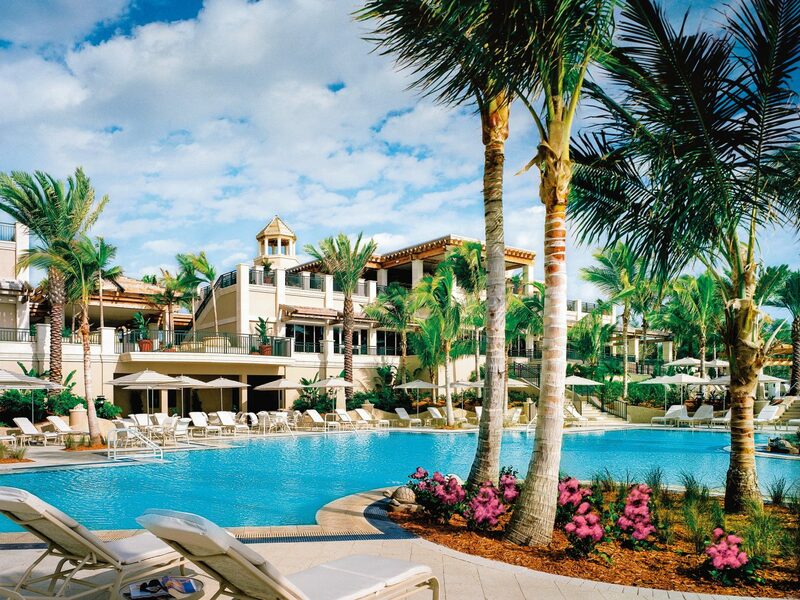 On Florida’s far northeast coast, Amelia Island is a beach destination a world apart from its party-loving sister cities down south. Summer visitors arrive as much for the 13-mile-long beach as the rich Civil War history and world-class golfing. A brain-off beach vacation this isn’t. Around a 30-minute drive from Jacksonville airport, visitors head straight for the charming town of Fernandina Beach, with its Victorian-era architecture, mix of restaurants and artisan-led boutiques. 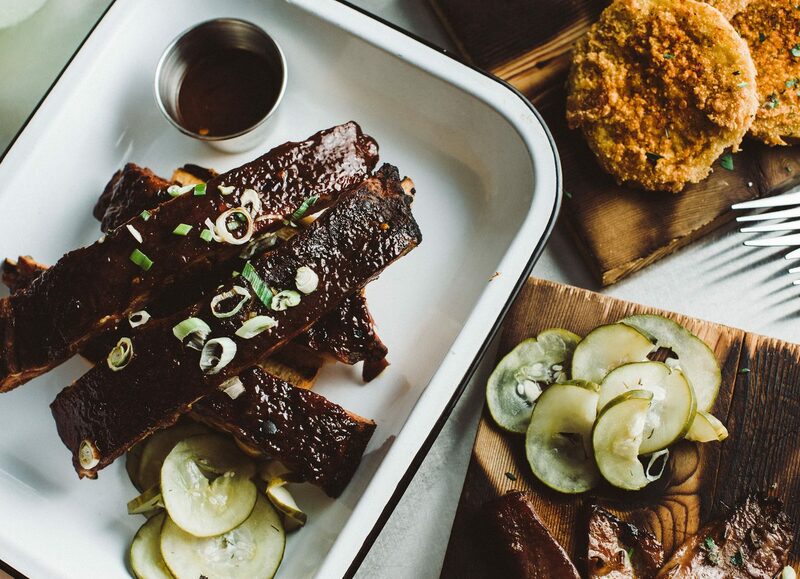 Here, try the classic barbecue and southern specialties at at Gilbert’s Underground Kitchen, sweet crepes at indoor/outdoor Patio Place Bistro, and must-try po’boys with Creole-style potato salad at Lulu’s. On beach days, pick up supplies at the gourmet Picnic Basket deli and drive five minutes cross-island to Main Beach Park, a favorite for its picnic tables, volleyball courts and children’s playground. This beach also marks the entrance to Fort Clinch State Park, a 1,400-acre nature preserve that’s home to its namesake Civil War–era fort, miles of beachfront hiking and biking trails, and resident wild deer. 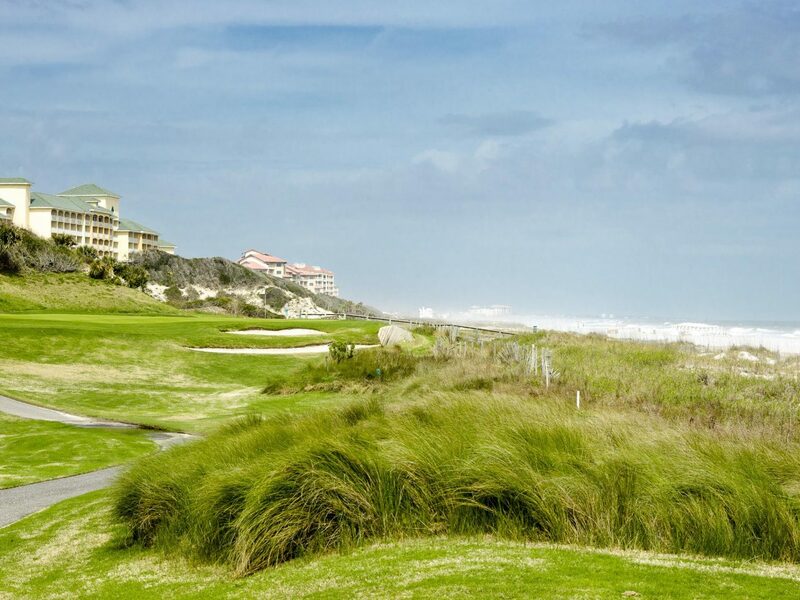 On the island’s southern tip, the Omni Amelia Island Plantation Resort is the destination for golf lovers, with a 36-hole championship golf course, unmatched Atlantic Ocean views and three-miles of private beachfront. 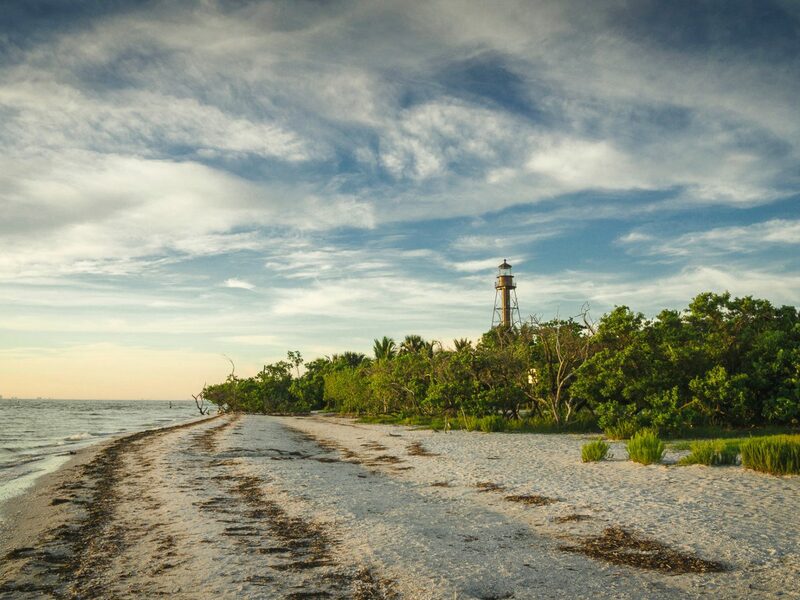 Around 30 minutes west of Fort Myers, these twin islands are the go-to Gulf Coast destination for nature lovers — and shell collectors. 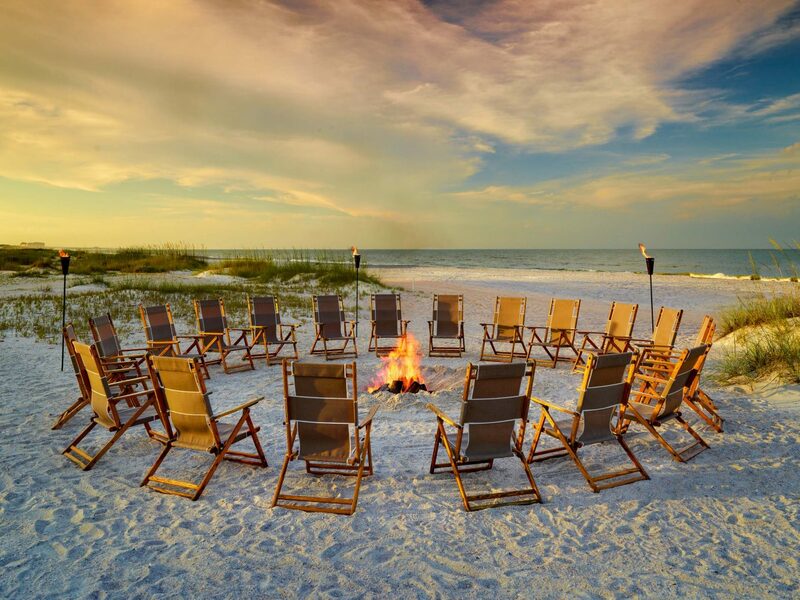 Sanibel Island’s unique hook shape means rare shells wash up in their thousands along the 15 miles of coastline, so visitors join in the “Sanibel stoop” and scour the beaches for pristine sand dollars and conch shells. 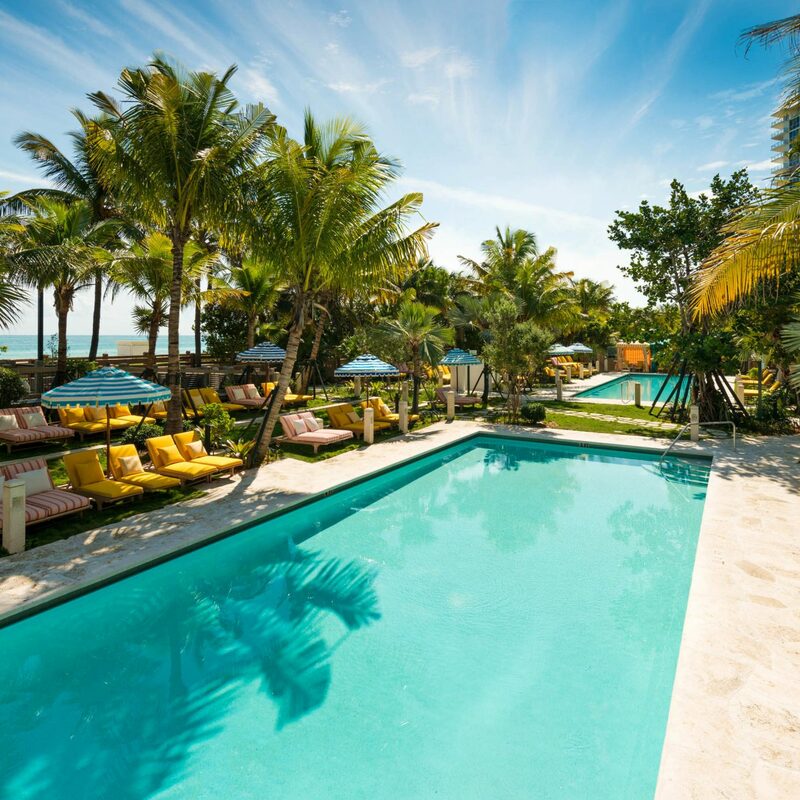 Captiva Island is home to the South Seas Island megaresort, a sprawling complex on 330 acres with 20 swimming pools, six restaurants and close to three-miles of soft beachfront. 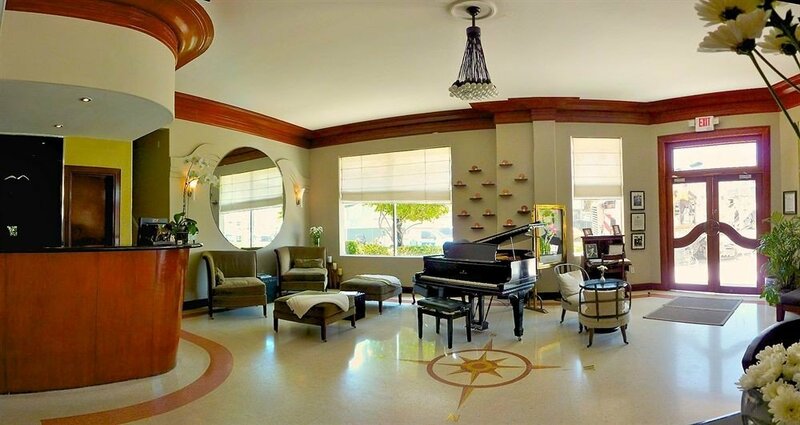 And while it’s tempting to never leave the resort gates, don’t miss a colorful cocktail at local institution, the Mucky Duck, and a slice of award-winning Key Lime pie at Key Lime Bistro within the Captiva Island Inn. 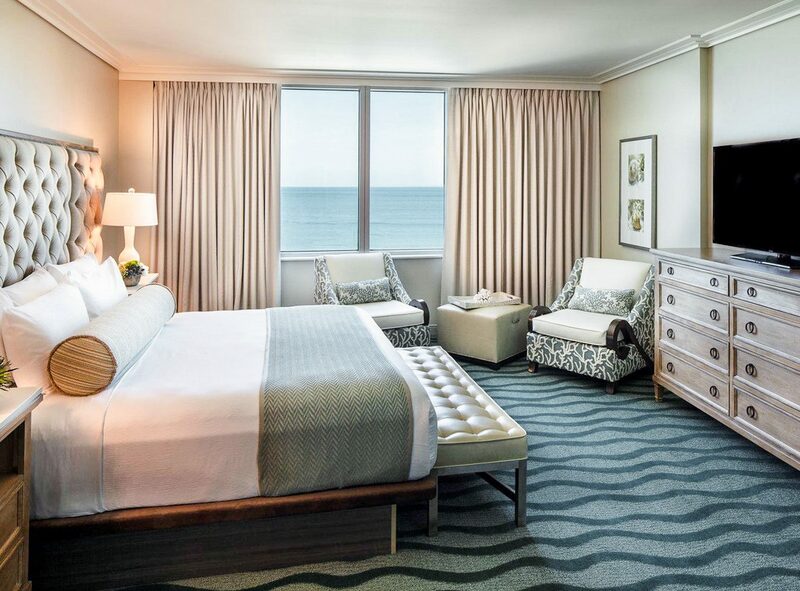 On Sanibel, longtime visitors are loyal to upscale Casa Ybel Resort, with its 114 gulf-facing rooms and beachfront restaurants, while smaller Island Inn offers suites, studios and guestrooms, a small pool and 550-foot stretch of beachfront. First timers should plan on a bike ride through the J. N. "Ding" Darling National Wildlife Refuge, with rentals through the official concession, Tarpon Bay Explorers, while everyone should try the seafood feast (oysters, conch five ways, grouper, clams and more) at kitsch island favorite, the Lazy Flamingo. 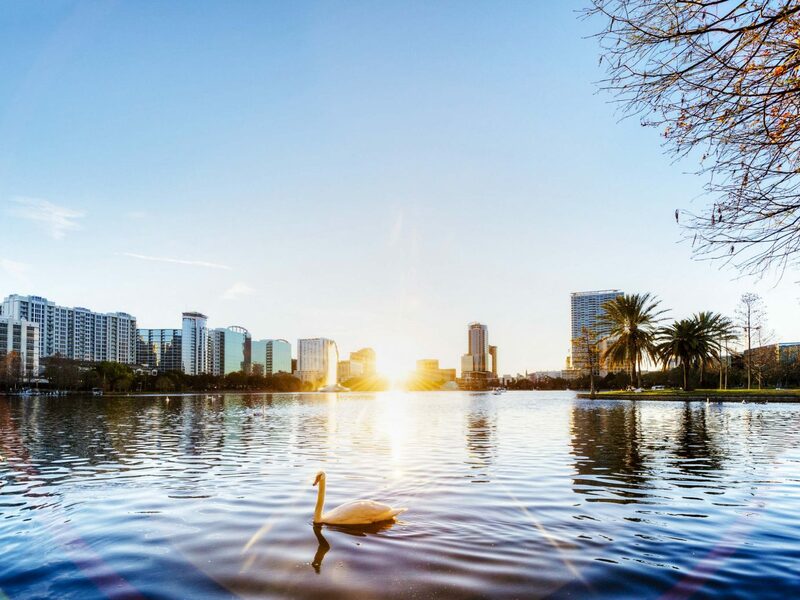 For most travelers, Orlando is the backdrop on the drive to and from the Magic Kingdom, but there’s more to this central Florida city than Mickey and pals. Most importantly, the food. 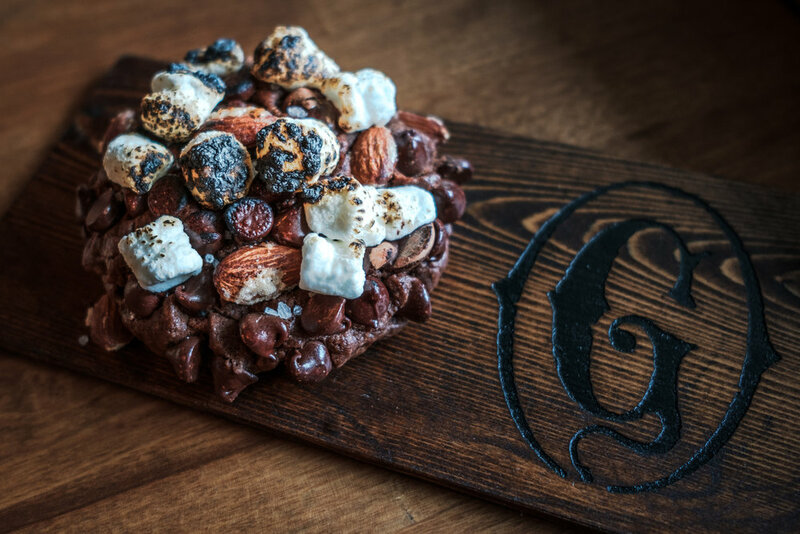 Since 2014, when a glut of local chefs were nominated for James Beard Awards and the East End Market opened to rave reviews, Orlando’s welcomed a quiet foodie renaissance that’s brought weekend trippers to local neighborhoods including Winter Park, Mills 50, downtown and Audubon Park. 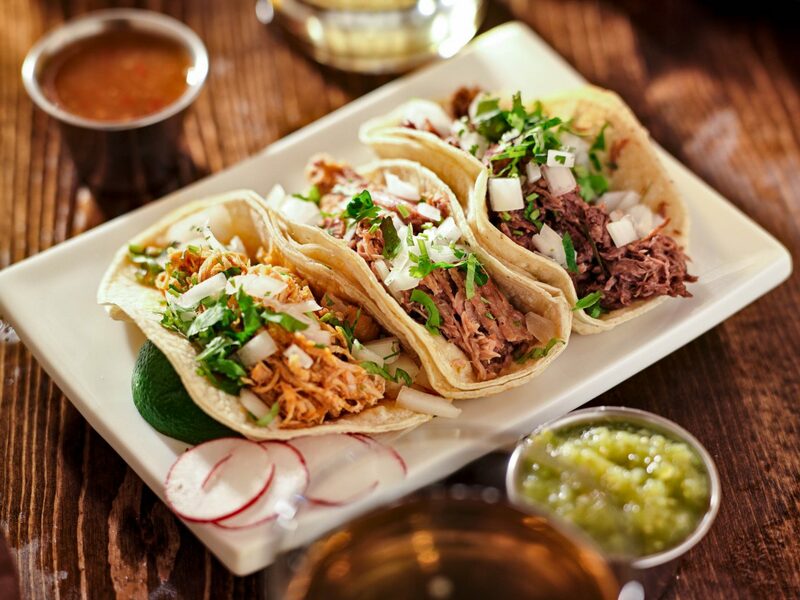 In Winter Park, visitors can ditch the car and go on foot for tacos at Hunger Street Tacos and Tex-Mex at Cocina 214, Italian classics at always-packed Prato, award-winning New American fare at the Ravenous Pig or date-night-worthy Luma on Park. Over leafy Audubon Park, the hardest reservation in town is at nine-cover sushi joint, Kadence, while at East End Market, by contrast, crowds are welcomed to wander the converted church confines, today packed with artisanal cheesemakers and restaurateurs including Gideon’s Bakehouse, Lineage coffee and farm-to-table specialists, Farm & Haus. 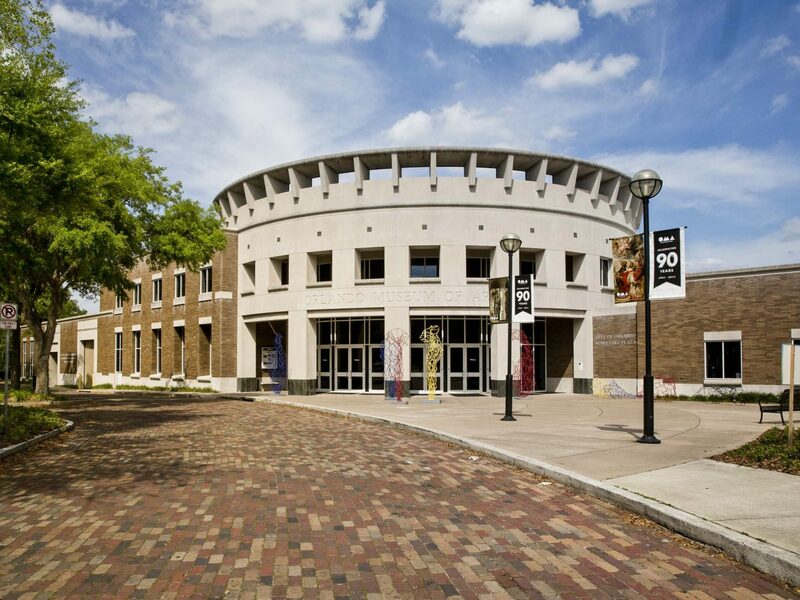 For a culture hit between the theme parks and restaurant crawls, don’t miss a concert at community-focused, Timucua Arts Foundation, or a turn through the rightly praised Orlando Museum of Art, famous for its collection of American artworks.